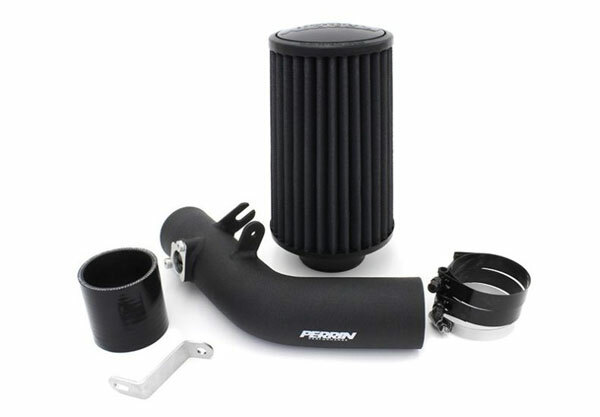 Perrin Performance PSP-INT-322BK - Perrin Performance Subaru WRX Cold Air Intake in Black; 2008-2014. Increase horsepower and style under your hood. PERRIN Intake Systems use proper MAF alignment and plumbing size, both of which are crucial to maintain proper air fuel ratios and prevent check engine lights that plague competitors. CARB Approved! California and several other states have adopted an emission standard for the regulation of road vehicles created by the California Air Resource Board (CARB). This standard must be met and approved for a system to become CARB certified. When a system becomes approved by meeting the criteria laid out by CARB, it receives a unique identifier known as an EO number and is certified for legal road use. Add 15-30 WHP to your car! 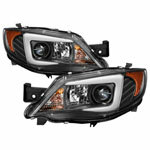 Actual horsepower values will vary depending on other installed hardware, tunes, and overall condition of your Subaru. Perrin intakes are constructed from aluminum tubing, which is precision CNC mandrel bent, for consistent and perfectly fitting parts. Our MAF sensor bung is CNC machined for perfect fit and alignment of MAF sensor to intake. This is crucial for proper air fuel ratios and ECU engine management. Dryflow filters provide the same level of protection as an oiled filter, but require less maintenance, are less of a mess, and have no risk of over-oiling. The rigid screen inside and around the filter media helps in preventing damage from debris and are ideal for dusty and rough driving conditions. The airflow straightener improves MAF readings by forcing incoming airflow into a uniform profile. Smooth and predictable airflow is the key to good, consistent MAF sensor readings for reliable horsepower gains.